Mother's Pride » PRIDEENS EXPLORE THEIR CREATIVE STREAK! 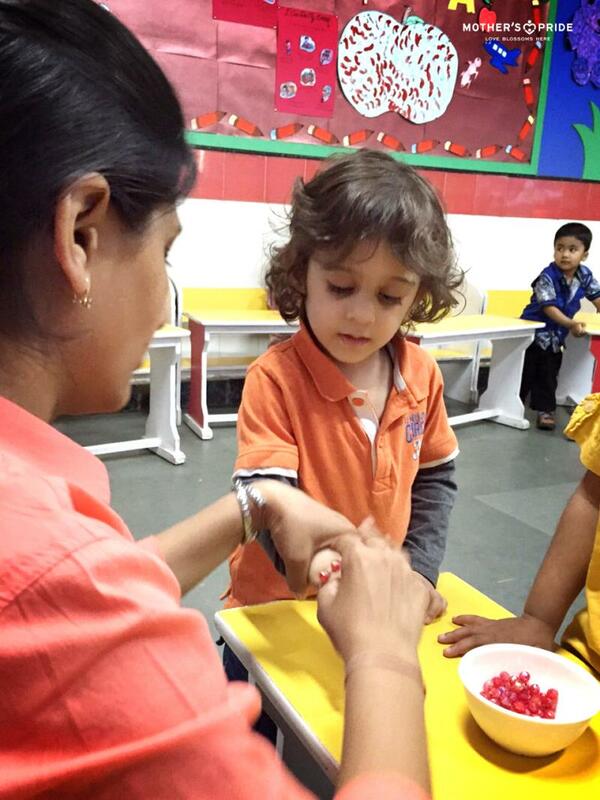 With an objective to enhance their fine motor skills, an entertaining activity of making Bead Bracelets was introduced for Prideens of Grade Pre-Nursery on 28-04-2015. Paying undivided attention to the playful and engaging demonstration from their teacher who had prepared the table with beads/strings to help them understand the activity, Prideens learnt how to make their own bracelets. Quickly picking up on the instructions and with a little encouragement from their teacher, they enjoyed making bracelets using red colored beads. It was a hearty moment to see their happy faces because as soon as they finished making the bracelets they wore it and displayed it with excitement! 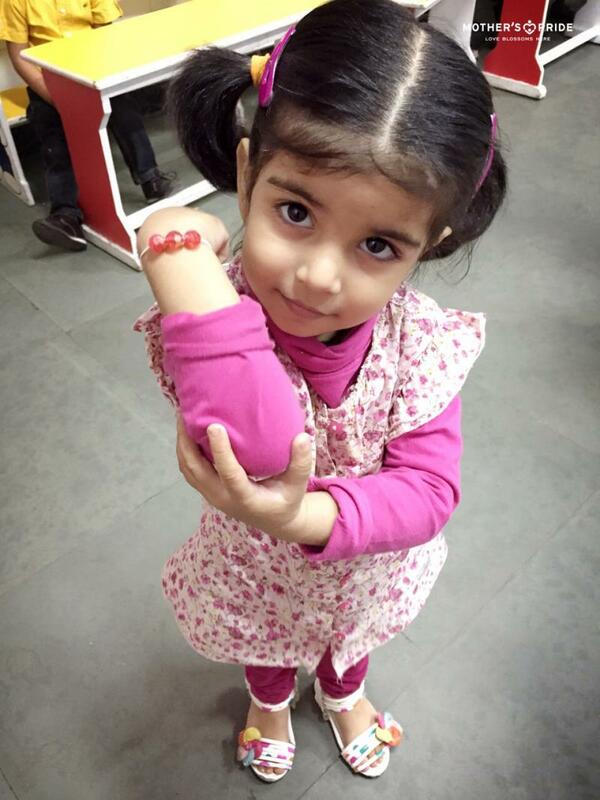 The activity aptly named ‘Red Bead Bracelet for me’, helped develop a sense of belonging in Prideens and also reinforced the color red.